Following inputs from the Ministry of Home Affairs, the Punjab Police has made arrangements to provide 25 bulletproof cars to ferry the Pakistan Joint Investigation Team (JIT) and the National Investigation Agency (NIA) officials to Pathankot and the areas close to the border. The Home Ministry has also sent a note warning of a possible threat to the Pak JIT by the Islamic fundamentalist organisations based in Pakistan and their proxies in India. 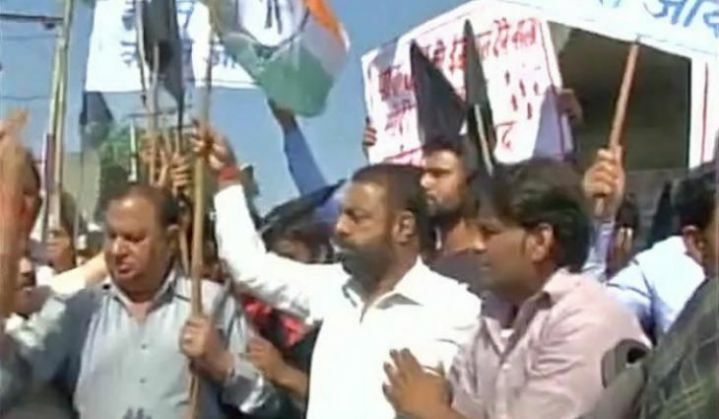 Meanwhile, Congress and Aam Aadmi Party (AAP) workers gathered outside the Pathankot air base to protest the visit of the JIT. Delhi AAP Minister Kapil Mishra and senior leader, Sanjay Singh were leading the protest. Chanting slogans against the Centre and holding placards saying "Pak JIT go back" the protestors also waved black flags and reached the gates of the Air Base, where defence personnel were seen trying to restrain them and stop them from entering the restricted area. "First they come here and attack on our soil bleeding us and they pretend that they are trying to get justice. Congress will never stand this farce," Harinder Kaur, a protestor said. The NIA on 28 March gave a detailed presentation to the visiting Pakistani probe team on the evidence collected on the Pathankot airbase terror attack case. Well-placed NIA sources said that the JIT held talks with the NIA members on the Pathankot attack investigation. Sources also said the Pakistan JIT did not deny evidence furnished by the NIA in connection to the Jaish-e-Mohammed's (JeM) involvement in the Pathankot attack.